We are a professional, high quality, CHAS Accredited tree surgery company based in West Hill, East Devon. Now in our 18th year of trading in domestic and commercial tree surgery we are constantly expanding and developing in order to provide the best possible service to our customers. We are pleased to say that a large proportion of our business is by client recommendation and we are major contractors to commercial and private companies, local authorities and residential customers. 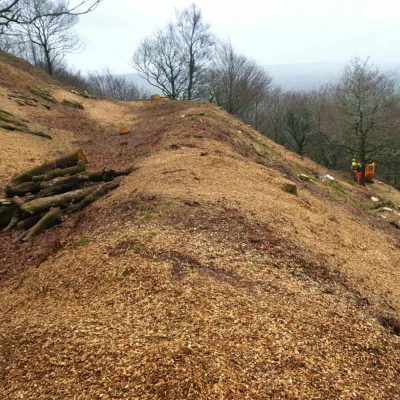 We specialise in all aspects of tree care and site clearance throughout East Devon and the South West. As a client you can be sure of excellent service at a competitive rate. We operate a huge range of specialist equipment and are fully qualified and insured. We comply with all current HSE legislation. We can remove stumps of any size or quantity. We are able to remove stumps of any size and quantity- from a single stump in your garden to a huge development site. We always carry out a risk assessment before stump removal, put up full guarding during works to ensure your property remains safe and always leave things clean and tidy after we have finished. 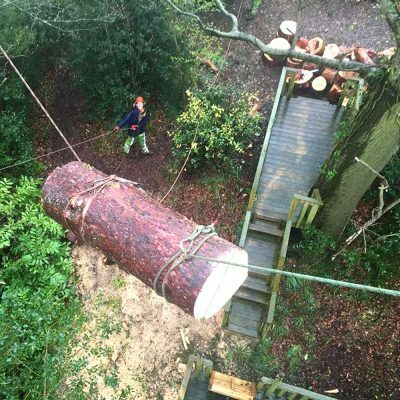 All aspects of tree surgery professionally completed by our teams of friendly and qualified tree surgeons. We enjoy a good relationship with local Tree Officers and can deal with Tree Preservation Order / Conservation Area applications on your behalf. We are proud to say that a large proportion of our work comes from referrals and recommendations. We pride ourselves on excellent customer service at a competitive cost. We do not consider a job complete until you are totally satisfied. We are able to show written references and contacts from trusts, councils and large company’s on request. All members of staff are trained, appropriately qualified and experienced in all undertaken tasks. We operate a vast array of specialist equipment, machinery and vehicles, maintained and inspected in line with PUWER regulations with equipment subject to 6 monthly LOLER inspections. Devon County Councils have used Hartwood Treeworks on a number of schemes and have found them to be efficient, good value and highly skilled. Their work is to the highest standards and every job they have undertaken for us has been delivered safely and has exceeded expectations. At Hartwood Treeworks, we are lucky to have worked for some wonderful people in the Public Sector, Private Sector and for Homeowners. We love what we do and will bring our passion and professionalism to your project. Contact us today. Contact us for a no obligation quote or just for some free advice.